Funk rock singer, guitarist and producer Assaad Lakkis (aka Bull Funk Zoo) is Dubai’s latest brilliantly balmy one-man-act. His latest single ‘Would You’ is a psychedelia-infused mixture of raw guitar grooves and slovenly vocals. Taking influence from artists as wide-ranging as Earth Wind and Fire, Frank Zappa and Megadeath, the artist has crafted his own unique sound. The Middle East have already embraced him, crowds of up to 30,000 people attending his shows. An album in the pipeline, the musician now turns his sights to the rest of the world. My overall favourite track which feels like the lead track is “When this Day comes” and this is definitely a track that makes you think and allows your mind to wonder with possibilities. That is the exciting element with instrumental bands, as a listener you can create the ambience and mood yourself, regardless of what the bands initial intentions were, everyone who listens to this album will take something different from this. It is an absolutely stunning piece of work and music project and definitely a musical experience I would recommend! Following the break-up of her previous band Cymbeline, London-based artist Rachel Myalls has chosen to pursue a solo career as a singer-songwriter. 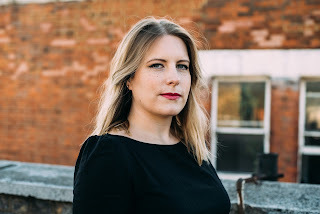 This delicate blend of folk and blues serves as her first solo EP and sees her exploring the complications of being in a relationship to an intimate backdrop of acoustic guitars. 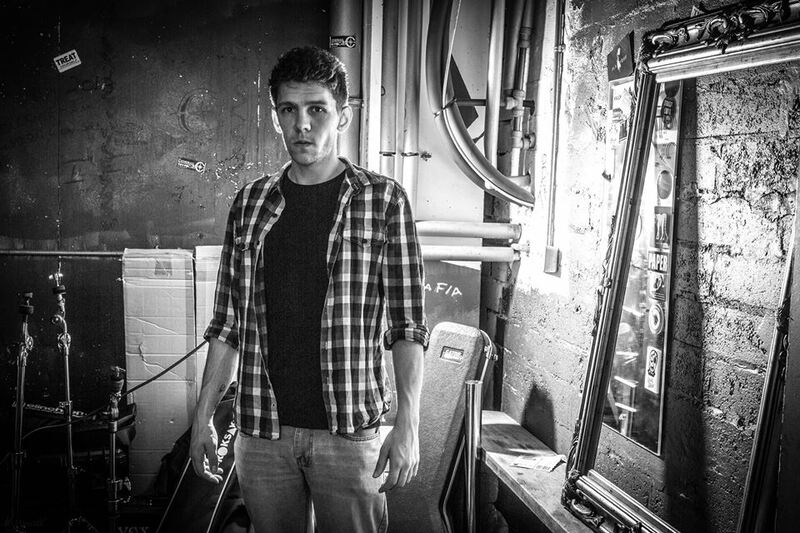 Myalls draws influence from singer-songwriters such as Dolly Parton and Tim Buckley. Her lyrics are vivid and heartfelt, sung in a refreshingly British-accented tone. Highlights include lead single ‘Science’, which touches on the explosive chemistry of a short-lived relationship and ‘Horses’, a track about proving one’s love set to some driving percussion. 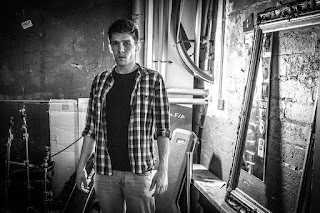 Nigel Thomas is making his own distinct brand of indie rock with nods to his old projects and seminal bands such as Stone Roses and Oasis. He found fame in cult band The Foxes in the back end of the Noughties but in his new album ‘The Travelling Man’ he claims ‘I leave it all behind, I left you all behind’. These biting words are the backbone to the album which is actually quite nostalgic in sound. Rock and Roll may supposedly be the idea but this time it has a deeper meaning. After ‘Fever’ the evocative song recalling his struggles with mental health, its straight on to an equally cheerful topic with ‘Anne’ dedicated to Anne Frank and her Diary that’s not quite what you’d expect. Thomas spits out how he is a ‘sinner, strummer, drinker and lover’ in the title track of the album which is reminiscent of Frank Turner’s defiance. 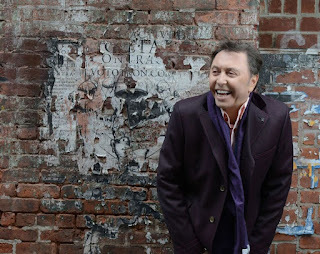 The album is an interesting mix of nostalgia and fighting to move on but Nigel Thomas gives his own view of his future, singing, ‘I won’t know where I’m going, till I arrive’. He uses his voice to satirise as well as sympathise in this attention grabbing collection of songs. This is a fantastic song and cutting edge video from the artist OH. This lady is always one step ahead of everyone else and she is a multi-talented artist with incredible talent. This will not get out of your head once you hear it! It is a must watch! If you have a virtual headset you are in luck! Even without the equipment it is worth checking out. 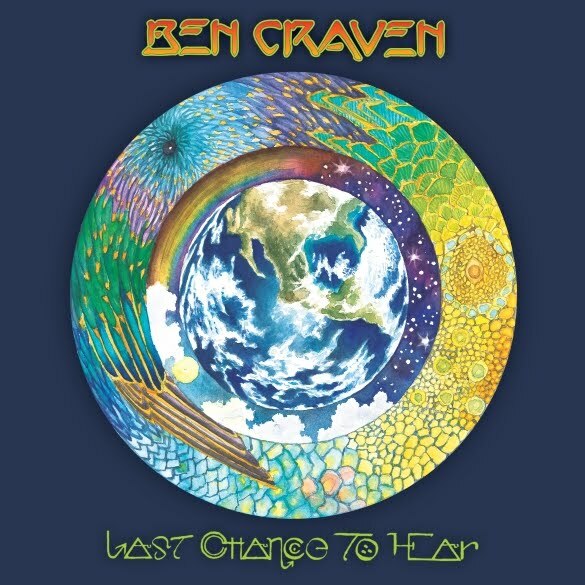 Brisbane, Australia – Australian cinematic progressive-rock singer-songwriter Ben Craven is releasing his highly anticipated third album “Last Chance To Hear”. The new release features guest contributions by YES legend Billy Sherwood and iconic actor William Shatner (yes, Capt. Kirk himself!!!). A new single titled “The Remarkable Man” is available for immediate download when pre-ordering the album. It's an imaginary theme song from a spy thriller movie franchise. Says Ben, “ 'Last Chance To Hear' is loosely inspired by the end of the music industry as we knew it. There’s never been a time when so much new music was being made by so many people and being listened to by so few people. The concept of paying for new music is now alien to a lot of the audience. Digital downloads have made physical media virtually obsolete. 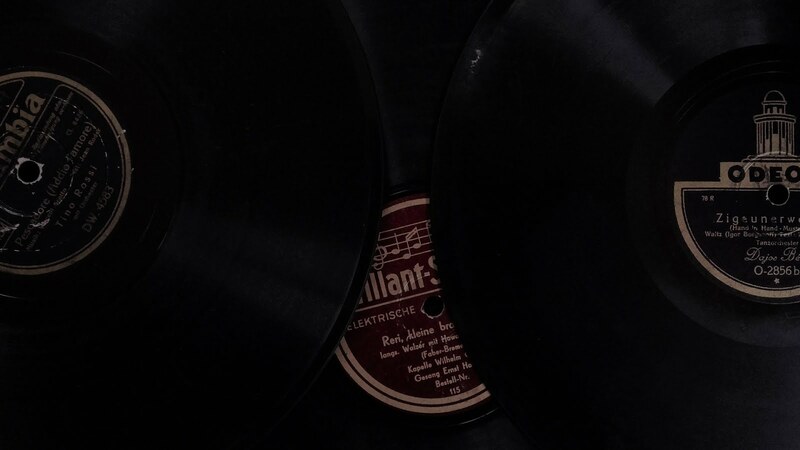 Streaming services mean that anybody making new music is now competing with the whole history of recorded music. And the album format is in danger of becoming extinct. There's never been a time full of more 'opportunity' than now. So I made an album about it. The obvious question is how did Ben recruit such iconic artists as William Shatner and Billy Sherwood to guest on his new album? Ben explains, “I was not my first choice to perform the vocals on 'Spy In The Sky Part 3'. I pored over the melody and the lyrics to get them just right. But when I finally ran through the completed lyrics in my head, I could only imagine a speaking voice. “Immediately I thought 'William Shatner!' and loved the idea. Then reality kicked back in and I got on with the job of singing my own vocals. Except the idea never went away. It kept nagging and eating away at me, like all good ideas do. And here I was willing to give up my own vocal performance on the most dramatic piece of music on the album! So I had to stop ignoring it. “I reached out to Billy Sherwood who as you know produced William Shatner's last album, the excellent 'Ponder The Mystery'. Billy would have been my first and only choice to record the session. I asked him if he thought the concept of having Shatner appear one of my songs would even be possible. Amazingly, everyone agreed, and Billy is the one who actually made it happen. As Craven worked his first album it became painfully obvious that the music business was in the midst of a sea change, and most of the old guard didn't seem to realize they were the cause. Very quickly he took an anti-DRM stance and released the live acoustic EP “Under Deconstruction” as a high-quality free download. Craven stepped up a gear for his sophomore album, “Great & Terrible Potions”. Delivering on the cinematic promise of “Two False Idols”, “Potions'” went widescreen as Craven blurred the boundaries between conventional songs and orchestral soundtracks. Augmented by a stunning cover designed by legendary artist Roger Dean (Yes, Uriah Heep, Asia), “Potions” was dense, complicated and unashamedly pretentious – everything a good prog rock album should be! Or, to put it another way, Craven sounded exactly like someone reveling in the creative freedom that came only from not worrying about what others wanted, and delivering what he felt instead. 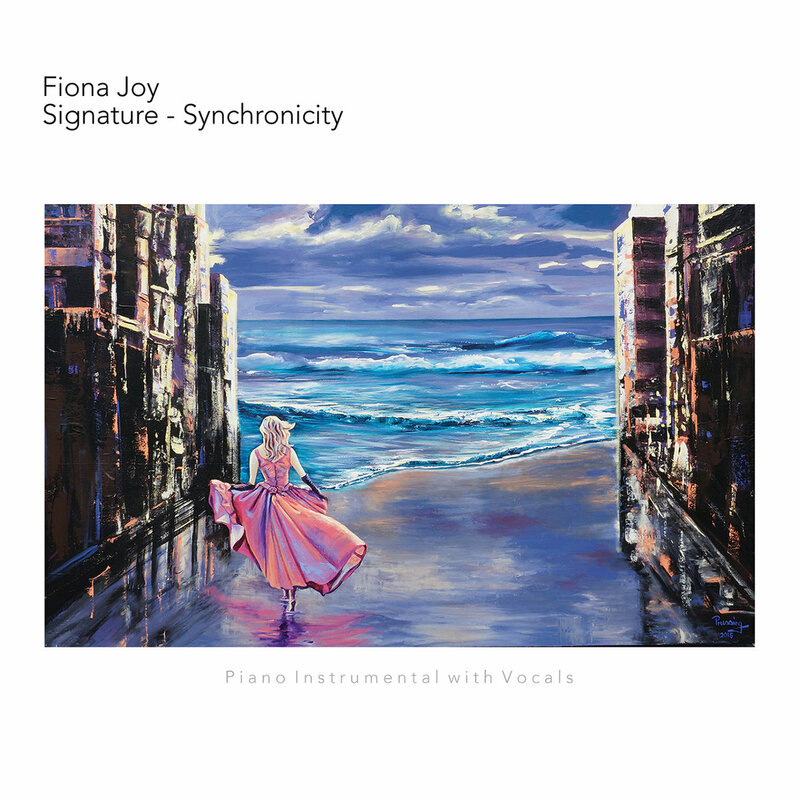 Fiona Joy has a new album out titled Signature-Synchronicity. The track of focus is a special one for the artist and I am certain will become one for her listeners. "Grace" holds a lot of meaning for Fiona. 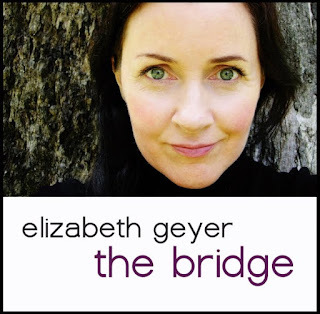 The slow acoustic vocal version of the track is one of elegance and a message to all listeners regarding the delicate balance of life and the healing powers of music. Fiona said: "Grace" came to me as a gift at a time when I was feeling down. Someone emailed me to say they had a still born baby girl 10 years earlier and listened to my music to help her recover. She named the baby Grace. Now, 10 years later she has a daughter called Sophie Grace and together they sit and listen my music to remember her baby sister. The message to me was that my music had stood the test of time and that the most important thing I can do with it is to touch and help others. Fiona's angelic and comforting vocals and the eloquent piano she plays are the perfect combination on this track. As a thunder struck from the canyon of light, on the day the satan rejected their souls, an exciting frontman with the moves of a tiger, backed up by three high energetic companions, decided to form a band. United as Vvlva they are now about to release their first seven inch on the Hamburg based label H42 records. In addition, the Australian label Heavy Chains Records subsequently proposed to release a cassette for this quartet from Aschaffenburg, Bavaria! Await the ultimate eruption of the folky-blues-heavy psych-vvlvacano in May 2016. Every preorder will come with an additional A2 Poster! When a new band are being compared to the finest in British indie over the last two decades, then you should already know that they will be a force to be reckoned with. Lazlo Device are a four piece from London who have already been likened to Elbow, Arcade Fire, Alt J, Blur, Tool, Joy Division, Radiohead and more. With their very own brand of hypnotic, ethereal indie-rock, they are quickly picking up momentum and new fans in equal measure. 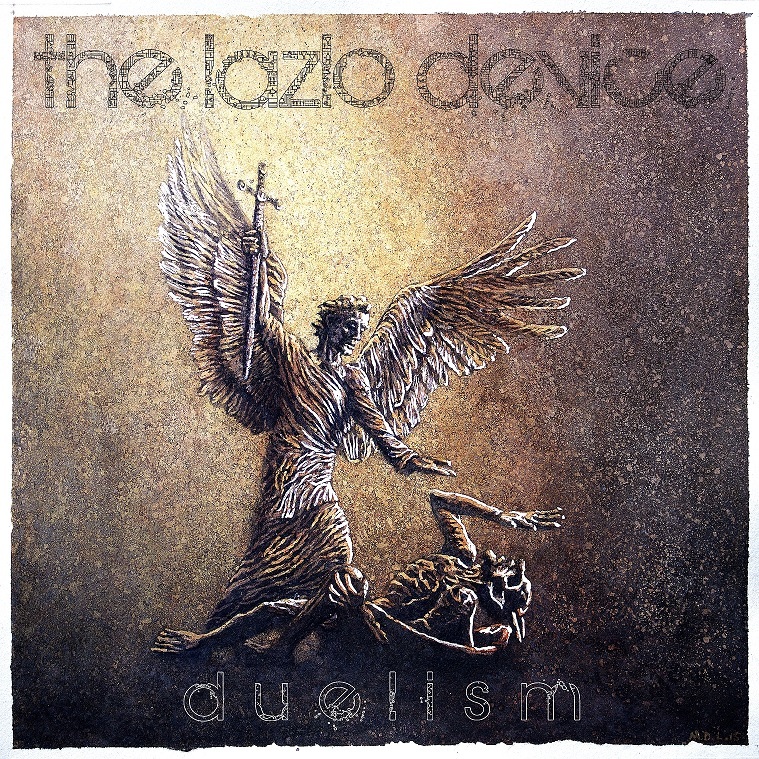 Having already supported the likes of 10cc and Finley Quaye in huge UK shows, Lazlo Device are now ready to make their mark. It all started with two previously released EPs, which quickly established their subtle, infectious sound. Now, following the ‘Looking Glass’ single release (see the video below), their ‘Duelism’ album is set to take them to new heights. The album launch on March 12th at the Barfly, London will be the final culmination of what the band describe as “4 years of hard bloody work”. That hard work has resulted in a well-rounded blend of melodic guitar, distinctive vocals and superb production which makes up the ‘Duelism’ album. On first listen, it’s immediately clear that this album comes from a confident band sure in their footing. From the very first melodic guitar tones of opening track ‘Gunslinger’, this is dripping with swagger and style. And once those drums kick in, a motor is underway that doesn’t stop until the final chords of the excellently twisted ‘Raining Sun’, complete with electronica overtones. In a way, these bookends typify the variety on offer from Lazlo Device – from straight up rock to 80s tinged synth sounds. 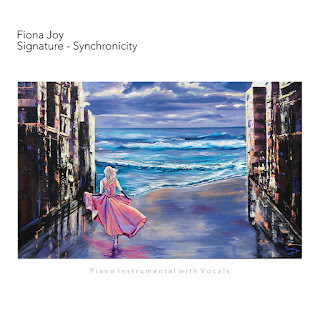 In between tracks like ‘Uncertain Beginnings’ show a lighter side thanks to the classical style piano section overlaid with that superb distinct vocal. Then later there’s ‘Momo’, which is almost surf rock in its laid back nature. These are just a few examples from an album chock full of creativity, ideas and quality. It’s an LP that’s made to turn heads, and with the likes of Dominic Howard (Muse) and Howard Donald (Take That) already among their fans, the scene is set for the album to make a real impact. If further proof is needed, they have also garnered the attention of pop legend Neneh Cherry, who recently attended one of their gigs. Their music is also about to be featured on a forthcoming BBC documentary about the Black Panthers. It’s all set up to be a huge year for Lazlo Device, and it all starts with the ‘Duelism’ album. 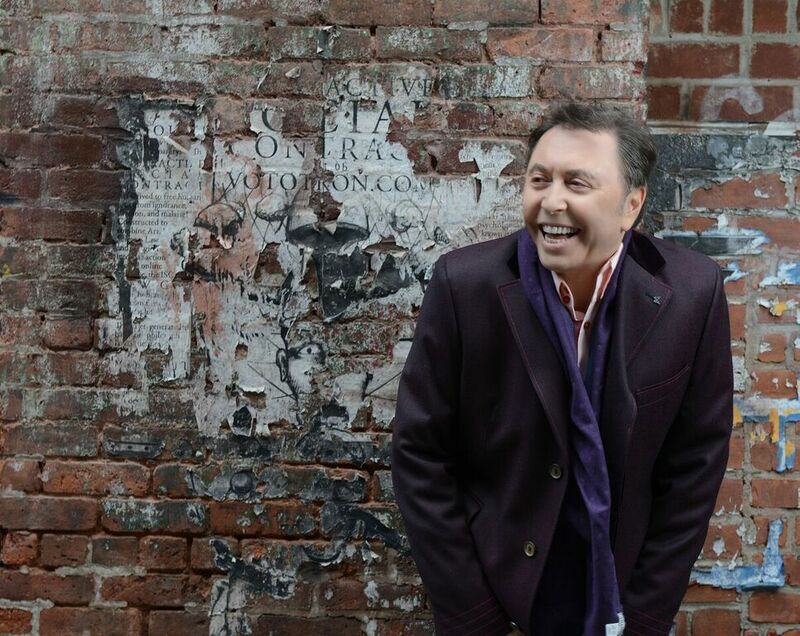 After recording guitar solo for Rod Stewart, Marcus Nand is back with own solo album ‘Time And Tide Wait For No Man’. With sweeping melodies and delicate guitar rhythms this album whisks you along into whichever land Marcus is venturing to this time. The title track offers Marcus’ heartfelt thoughts and reflections on life, luck and love which, as commented on by Rami Jaffee (Foo Fighters), is performed ‘in an honest way, which is rare these days’. Marcus brilliantly mixes this in an uplifting way, allowing you to be taken with the melody. Listening to the album, you can hear Marcus’ mixed influences being drawn upon. The track ‘Everything’ features beautifully intricate flamenco guitar work which fits perfectly with the passionate vocals. The eerie track ‘You Become My World’ reveals another side to Marcus Nand’s eclectic album with Indian influences being prevalent here. In fact, the album gives you an insight into the man behind the music; with travelling, motorcycling and sailing being his passions, the songs definitely create the feeling of enjoying the journey of life. Overall this album is a heartening, as well as catchy, performance of Marcus’ skills in both songwriting but most strikingly, in his pure talent as an experienced musician. 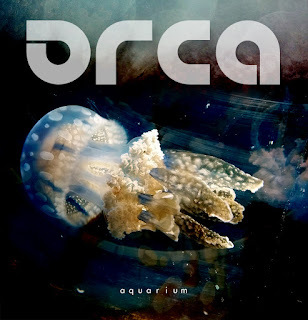 Described as a “cracking band” and praised for their “excellent production values” by music blog Progrockmusictalk, UK-based alt-rockers Orca have proven to be on top of their game. As pioneers and creators of the mysterious domain of ‘space metal’, the five-piece is steadily stepping up to the music industry’s spotlight. Their fascination with space and discovering the unknown has always been part of their own musical exploration. By fusing melodic experimentation with hard hitting metal riffs, their new single ‘Aquarium’ (taken from the album ‘Universe’) is a muscular track, effervescing with a forthright and speeding energy. 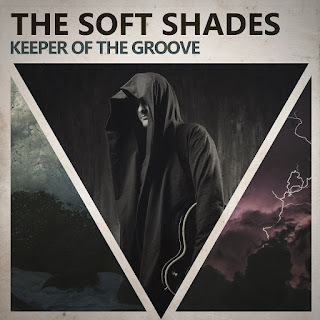 As a follow up to the similarly metal infused guitar styles and contemplative vocals of their first single ‘Amber’, this tune is a sensational marvel of progressive rock. The song came about when singer Chris started exploring the emotions drawn from the cryptic and riddle-like rhythmic arrangement of a demo recording. ‘Aquarium’ is ultimately about desire, beauty, identity, sensuality, and connecting with the power of nature. 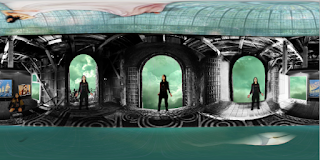 The video for the single was shot in a real aquarium which the band describes as a “wonderful” and “entrancing” experience. The album is called ‘Universe’ as it was written while the band were travelling separately around the world, with each band member looking out to a different part of the night sky for inspiration. 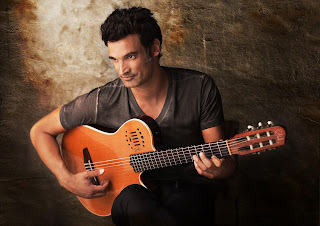 from Poland and singer Chris Edwards is British Armenian. Orca’s sound reflects this diversity and has been celebrated by radio stations such as KSCR in Los Angeles and Aaron Phillip’s Amazing Radio Rock Show here in the UK. Musically, they have also come from a variety of backgrounds ranging from psychedelic rock and jazz to heavy metal and synth-pop. The band has evolved from bassist Matt and guitarist Dave’s previous project called Martian Time Slip which focused more on a traditional darker kind of metal. After the break up of Martian Time Slip the two collaborators embarked upon new endeavours, forming Orca and searching for the perfect vocalist for the band. Chris approached the band with a style that was both unique and enigmatic. They were struck by his powerful voice and his ability to enrich the melodies with passion much like the late Jeff Buckley. Ben joined shortly afterwards while continuing to write songs for famous Vlogger Casey Neistat. The newest addition to the group is drummer Kacper who has had success with his symphonic power metal band Pathfinder. Rhealine are two focused individuals intent on creating stories with their dance/electronica sounds. They like to call it poptronic. I think that is good description. 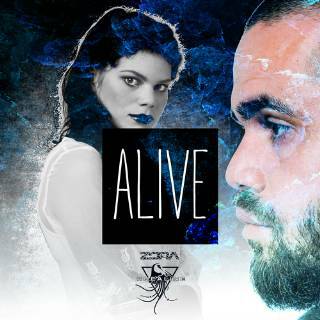 Rhealine has a dynamic and energized sound served up on this featured track titled "Alive." The track focuses on lost love over many centuries of passing time and more than just hinting at the possibility of reincarnation. After hearing "Alive" you may find it believable. Give it a listen now! Rhealine is a project that is working with singers from the entire world. Therefore we call it "Cross-continental music collaboration rooted in the fusion of pop and electronic sound." Currently, Rhealine is working with Zora from Netherlands, L.Paris from Los Angeles, Mechi and Della from Buenos Aires/Argentina. Raving Wild is set to release contemplative indie EP ‘Kolmanskop’, a cathartic project that deals with life lessons learned from past mistakes. 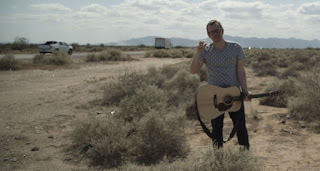 Having appeared on Tom Robinson’s BBC 6 show and BBC Introducing Three Counties amongst others, Raving Wild is one of the most intriguing and riveting singer songwriters on the indie scene at the moment. Signed to Coffee Jingle Records, the musician has earned praises from media platforms such as The National Student declaring that Raving Wild aka. Graham Iddon is “crafting a sound that is delicate yet powerful, embedding subtle instrumental intricacies within hook-heavy ballads.” Other people who complimented his music include Liz Mitchell of Boney M.
With a touch of Jeff Buckley and City and Colour, the EP and eponymous single ‘Kolmanskop’ is an ode to an abandoned mining town in the Namib desert which Raving Wild used as a symbol for the EP’s concept “Lessons learned in the desert”, an inspiration that derived from a soul searching mission in which the artist wanted to understand how he could learn from past mistakes and understand the world around him better. The lead single, ‘At The Crossroads’, sets the perfect mood for the life journey that the singer describes in the record. Raving Wild has recently had the opportunity of playing at the film set of the latest Star Wars movie at the prestigious Pinewood Studios in London as well as in front of a couple of thousand people at Parklife Festival in Aylesbury last year. Apart from being a talented songwriter and lyricist, Raving Wild’s interests range from attempting to break the record in the land speed of an office chair or eating a tin of hot dogs in the fastest time possible. He’s managed eight in 16 seconds which means he did not break the record. We might not read about Raving Wild in the Guinness Book of Records, but it is more than likely that he will gain growing attention for his music in the world’s entertainment sections. 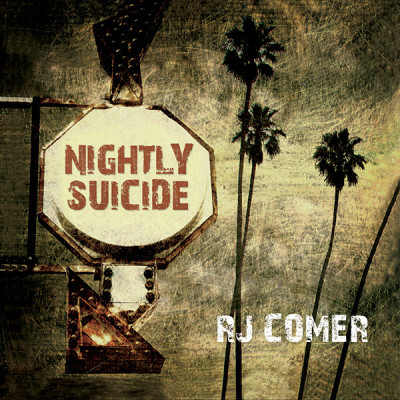 RJ Comer sounds like an old soul off his title track on the new album Nightly Suicide. The track is permeated with a a foundation of the blues touched off with some rock to make a combustible combination. The guitar lines are on fire and Comer's voice comes right from his toes. This is one of the best tracks I have heard in some time. It is very down to earth and original. 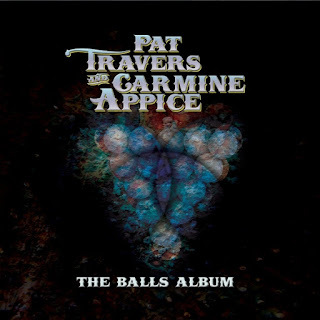 Superstar Classic Rock Duo Pat Travers & Carmine Appice Reissue Their Ball-Busting Full-Length Collaboration, Release New Video! 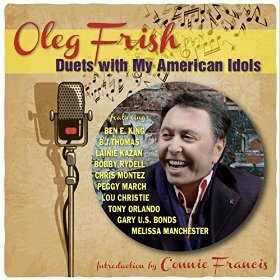 Oleg Frish has a very distinct vocal style. What he is able to do with a standard jazz tune is turn it into something fresh and new with a twist because of his European accent. On "The Things We Did Last Summer" he spotlights his vocal prowess and style backed with some light but poignant jazz music. His Duets with My American Idols is his latest recording and jazz lovers will certainly find enjoyment on this release. 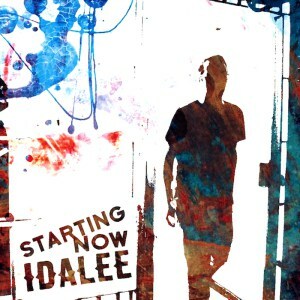 Idalee has a great story of success behind him now and a world ready to embrace his music. A new single titled "Starting Now" is the focus. It sounds full of hope and positive energy. There is a mixture of pop and rock and a bit of Celtic leanings in his voice in the track that makes it that much different than what you normally hear. At least that is what I heard. Because of the man's story and his music it separates him from the run of the mill pop star. It is nice to hear something different with a great story to latch on to before you listen, it makes it all that much more captivating. government vehicle and put his head through he windshield. ended up in a stretcher. IDALEE is all about second chances. Lexxica is a beautiful young talent with new music out right now. Her new single "Hello Friday" is full of energy and color. This lady is just bubbling over with excitement and this radio ready electronica dance track is queued up to make its way to the dance clubs and charts everywhere soon. The fast pace and constant rhythm will sweep you away! Check it out and download it on iTunes here smarturl.it/m6bsq5. Los Angeles based singer-songwriter and pop star on the rise, Lexxica attributes her uplifting dance music style by identifying herself as an artist showcasing an entire experience rather than just a song to her listeners. 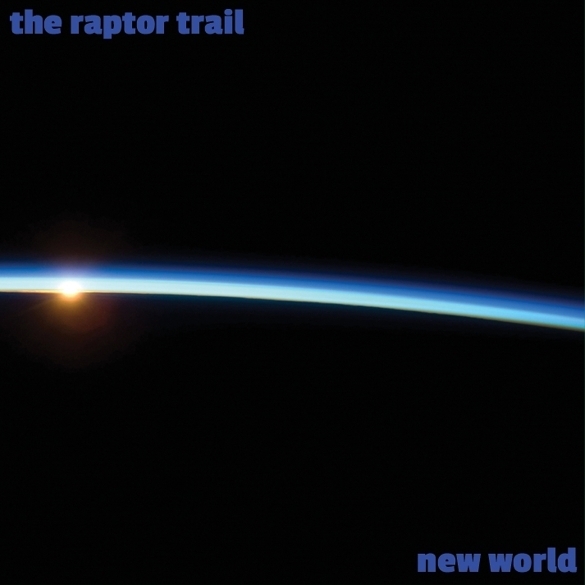 Brevard, NC - Much to the excitement of music aficionados worldwide, Melodic Prog trio The Raptor Trail will be releasing their highly anticipated sophomore album “New World” on March 11. 2016. This second release finds the band stretching its wings a bit, with particular attention to vocal harmonies and acoustic based themes. That is not to say there is nothing Prog and heavier on this record as the tracks “Going To Dublin” and “Wheel” will attest. But it's more of an intricate Rock 'n' Roll album, almost galactic sounding, with a ominous cynicism and grim world view. Clocking in at just under 78 minutes it is really like a double album. The Raptor Trail has been slowly and quietly plotting its course over the last 25 years. Founding members John Meyer and Matthew Mayes had been kicking around the idea of recording something together for decades. Finally in 2014, the planets aligned and the idea actually transcended into a studio recording project which later came to be called The Raptor Trail. The Raptor Trail was actually the first song that Meyer and Mayes wrote together for the project, and it snowballed from there, with “Gravity x Ten” following, and then ten more songs over the course of the next year. The self titled first album, “The Raptor Trail,” was released in May, 2015. Considering the musical backgrounds of Meyer and Mayes, one might not think the styles would mesh. Meyer coming from a harder edged, heavier guitar style; highlighted by the fact that he tunes his guitar in “D.” And, Mayes coming from more of a progressive bluegrass, jamrock background; highlighted by an instrument called a Guijo (Half Strat, Half Banjo, tuned in open G) But in reality, quite the opposite occurred. Not only did the styles mesh, but their melodic interplay and vast, yet different, musical influences pushed one another out of their respective comfort zones. The result was the creation of some of the most prolific, diverse, and conviction fused progressive rock music ever heard. Before the project could be completed however, there was needed one addition. Gene Bass, long time musical companion with Meyer and Mayes, was brought on to play all drums and percussion. Gene Bass and John Meyer grew up together in Macon, GA, playing in a number of bands together starting back in 1980. Adding to this storied history is the fact that Mayes and Bass played together for 12 years in pioneer Jamrock band Jupiter Coyote which went on to sell well over half a million records. Adding yet more history to the story is the fact that Meyer and Mayes were roommates back in those days and Meyer was actually the first sound man in that band. Meyer is also the person that came up with the name Jupiter Coyote. So the evolving path that has lead to The Raptor Trail has taken many turns and twists over the years. But, it has somehow reunited a great and long lasting friendship between three individuals who share a unique musical chemistry and history. The music has largely been recorded in each member's home studio. Then, simply passing the files back and forth over the internet and ultimately back to Meyer who has been the mastermind behind the production and mixing. The self titled album which was released in May 2015 received a warm reception from die-hard Jupiter Coyote fans, as well as many publications from the Progressive rock side of the scale. 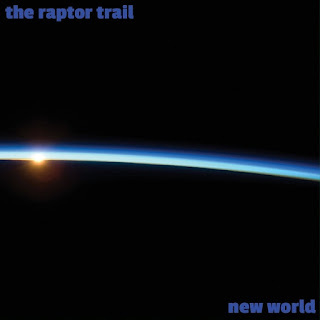 Now the band is set to release their sophomore album “New World”, which unlike most of the mindless, banal, twaddle that passes for popular music today, The Raptor Trail's music is rich and layered, with razor sharp musicianship and thought provoking lyrical content. Just listen to the conceptual relation of “Desolation” and “Grace,”, the last two tracks on the album and you will get a sense of just how well crafted these songs really are. “New World” is digitally distributed through Red Eye World Wide distribution and avail at all major digital outlets including i-Tunes, Google Music, and Amazon. Physical CDs are available through CD Baby and feature alternate mixes. Lastly, the band is working on the third album now, laying the ground work for an elaborate concept album! 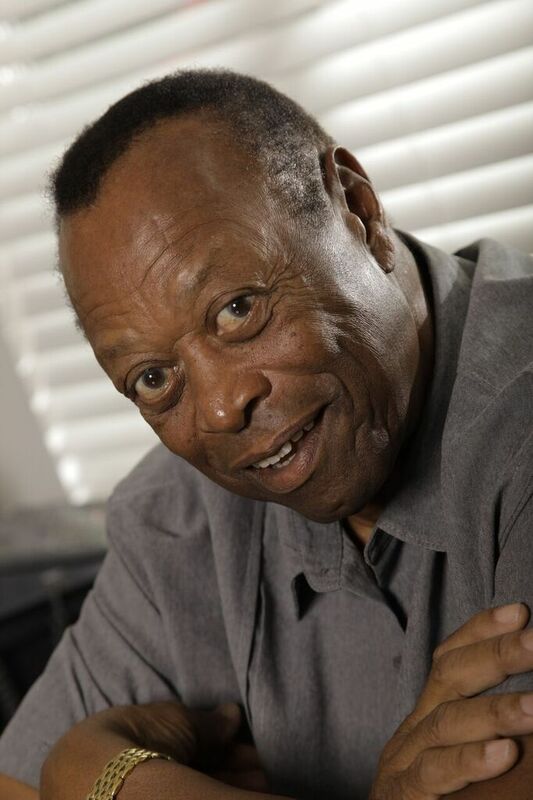 Charles Wright continues to be a force in the R&B music industry. It started in 1962 and there is no sign of him slowing down yet! One look at the risque cover of his new single "She Don't Believe In Love" certainly tells the story. If you are ready to get all funked up and get your body moving just click play on the stream provided. This is funky soulful get up and dance music.